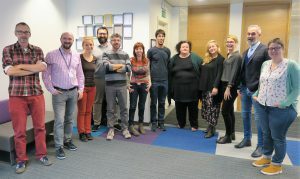 The aim of the HURISTO Project is to raise awareness about the European Human Rights Charter as a part of Global Citizenship Education with low-skilled adult learners. 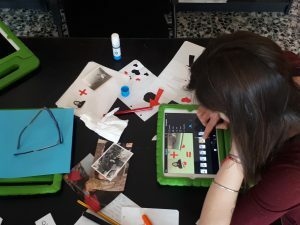 This is done through developing and piloting the methodology, based on digital storytelling, that is engaging, fun, offers opportunities for deep learning and has a low threshold. 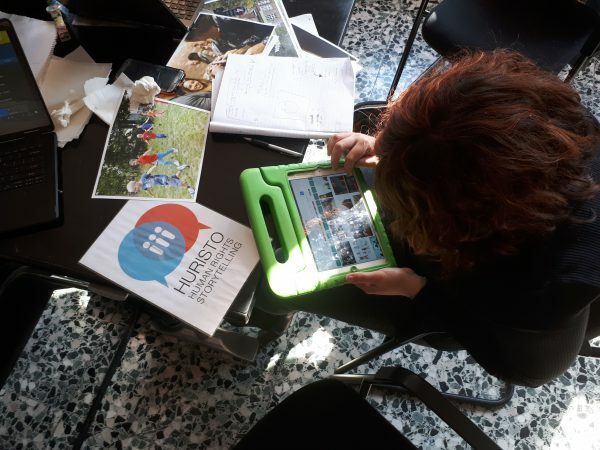 In the past months, HURISTO partner organisations from Belgium, Italy and Spain were conducting the digital storytelling workshops for their low-skilled adults. How have the workshops been carried out? We have got some updates from Maria, a trainer in Terremondo in Torino, Italy. You can check the methodology developed and piloted in the HURISTO project. The methodology is using the photolanguage set – the flashcards are used to start the conversation about human rights in Europe and the situations, in which these rights may be at risk. See the flashcards and learn how to use them in your workshops. As the project is coming to an end, project partners are working together to get everything done. A project meeting is foreseen on the 3-4 September 2018 in Piedrabuena in Spain where project partners will finalise their work before the final project Conference, which will take place in Brussels on 18-19 October 2018 in the context of the ALL DIGITAL Summit. We all look forward to it and to seeing the results of the HURISTO Project!